Dennis Steele wears two hats. During the school year, he’s an associate professor of computer science at Regis University in Denver. He wears his other hat – a huge, black cowboy hat – as owner of Bit-O-Wyo Ranch, a guest ranch with a horse barn dinner show and trail rides near Cheyenne, Wyo. Dennis grew up in Cheyenne. He earned an undergraduate degree in applied math and a master’s in philosophy. He came to Iowa State for his Ph.D. in computer science while he was teaching at Graceland College (now university) in Lamoni, Iowa. He bought land between Cheyenne and Laramie, built a home there in the 1980s, and raised a family. Today, he and his wife, Molly, run the ranch, and his daughter operates a children’s adventure camp there each June. Starting around the Fourth of July, the horse barn transforms into dinner show, with a chuckwagon line featuring “cowboy grub” followed by a bluegrass vocal show starring Dennis, his family, and friends in the Blue Water Cowboy Band. Last year, people came from 47 states and all over the world – more than 100 each weekend night. 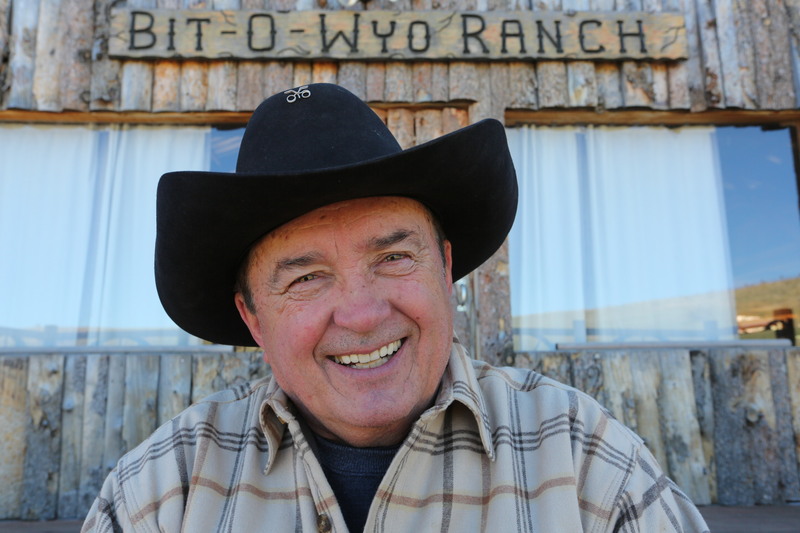 Being both a college professor and a guest-ranching Wyoming cowboy doesn’t seem to bother Dennis in the least.